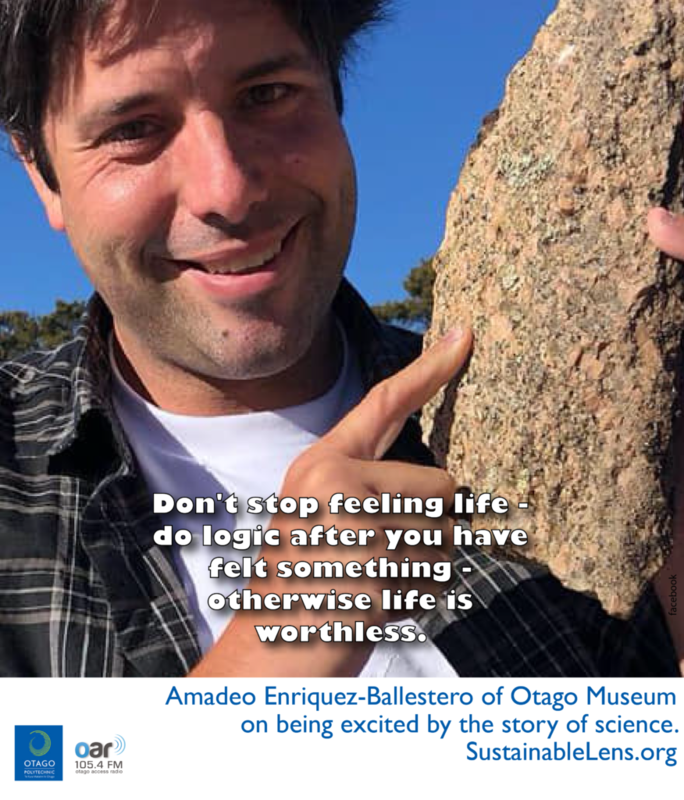 Amadeo Enriquez-Ballestero is science presentation co-ordinator at Otago Museum. If we all did a little bit, we could make big differences in the world. My motivation is offering the experiences that I would have wanted as a child to kids around New Zealand, and seeing that I can make a difference. Don’t stop feeling life – do logic after you have felt something – otherwise life is worthless. We are facing another major extinction, and maybe we can do something about it – the dinosaurs went extinct due to rapidly decreasing oxygen levels, we are facing with a similar issue of sky-rocketing carbon dioxide levels. We’ve seen it happen before and if we don’t do something about it, humans will become extinct.